Neath House – Plymouth, Devon. 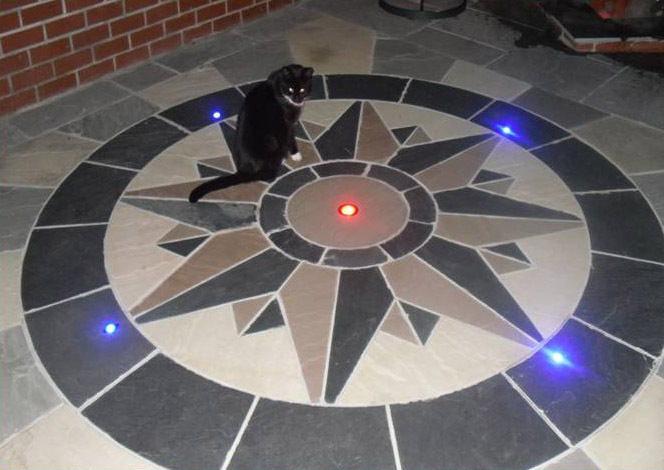 This compass design is a central feature for a patio we laid at a Victorian house in Plymouth, Devon. We first made templates of the design and then cut the individual sections out of stone. The stone consisted of two different coloured sandstones and a blue slate. LED lighting was incorporated into the patio. If you want to find out more about this patio click here.